British public health service NHS is running a public awareness campaign raising awareness of dementia. 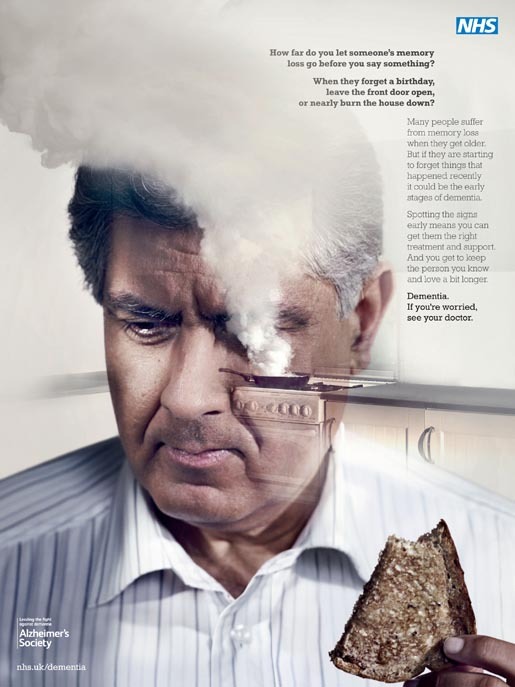 Three print advertisements provide scenarios that may provide clues about early onset of dementia: a kitchen fire, an overfilled bath and a lost car. 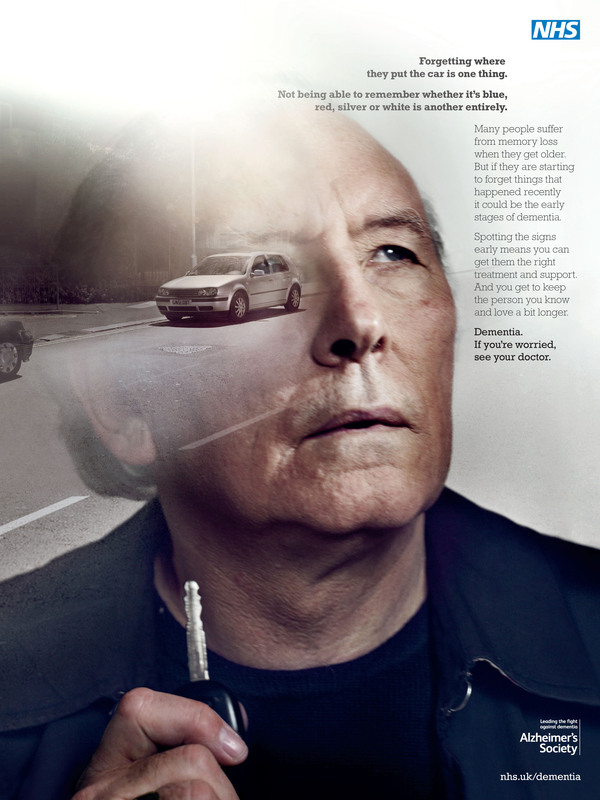 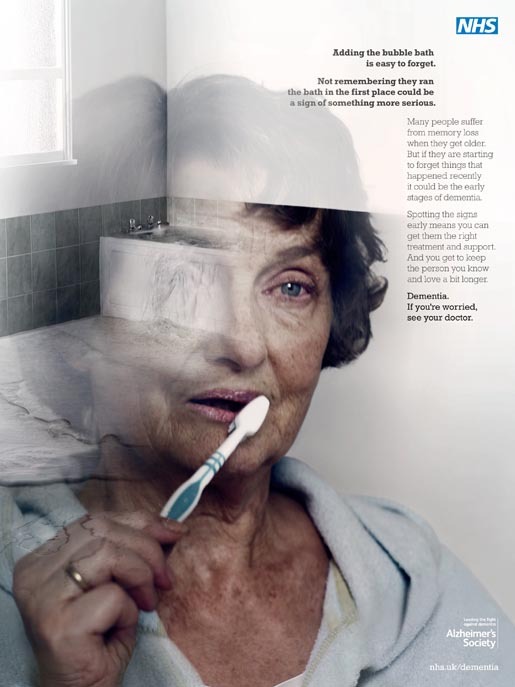 THe Dementia campaign was developed at DLKWlowe London by executive creative directors Richard Denney and Dave Henderson, art director Remco Graham, copywriter Richard Holmes, head of art Christian Sewell, photographer Ben Stockley, with retouching done at Touch Digital.